With these Las Vegas airport shuttle services arriving at and departing from McCarran International Airport is simple and easy. 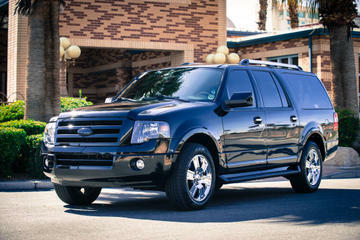 Select a private limo, an SUV, a van for a family or a minivan for a large group. Professional, friendly staff and drivers will make the trip a fun part of your vacation, door to door, from Airport to Hotel and back again. Step off your plane knowing that the trip to your hotel will be relaxed and comfortable. 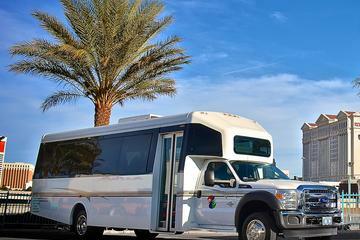 This Las Vegas airport shuttle service operates 365 days a year, 24 hours a day. You do not need to book in advance. Simply head to the departure point and enjoy a door to door drop off. When your vacation is over and you are ready to return home, make a quick call and they will be back to collect you. Vehicles vary depending on the number of passengers. Don't stress when you arrive in Sin City! 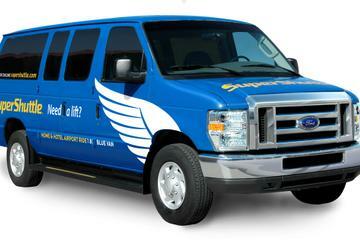 This Las Vegas airport shuttle service offers a ride in a luxury SUV for up to five people. Eliminate waiting in long queues for taxis. The experienced driver and friendly staff will take you directly to your hotel door and a quick call will get them back again when it is time to return home. Leave your Las Vegas Hotel and head for the McCarran Airport in totally luxury, it is a fitting end to your exotic vacation. A company representative will meet you at your hotel holding a custom sign with your name and you will be assisted with your luggage. 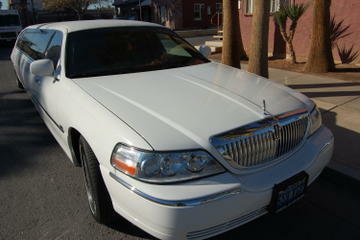 Settle down and relax in your luxurious stretch limousine and enjoy the ride to the Airport. Vehicles can accommodate up to six people. 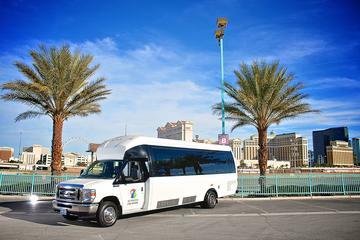 The Shared Roundtrip Las Vegas airport shuttle service has been operating in Vegas for more than 25 years. It is a convenient and easy way to get to and from the Airport. The service operates 24 hours a day, 7 days a week and offers superior service with a professional team. Door to door service does not get easier or better than this. After booking, you will be given a travel voucher to present at the Airport and you can also book your return journey at that point. This is an ideal option for groups and families. 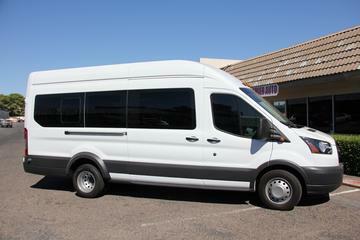 Pre-book a private van for a group of up to 24 people. Your trip from the McCarran Airport in Las Vegas to your hotel will be hassle free and comfortable. The trip includes all taxes and fees and your professional driver will meet you at the baggage claim. Pre-book a private van for a group of up to 15 people. Your trip from the Airport to your hotel and back again will be hassle free and comfortable. The trip includes all taxes and fees, meet your experienced driver at the baggage claim. 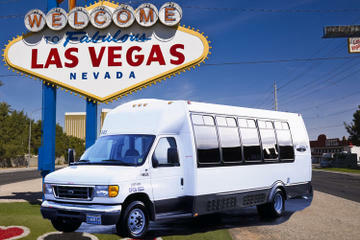 If you are travelling with a large group, a minibus is the ideal Las Vegas airport shuttle service. Pre-book your minibus for up to 27 people. Your trip from the Airport to your hotel will be comfortable and relaxed. Your professional driver will meet you at the baggage claim. The trip includes all taxes and fees.